HUNDREDS of Ayrshire jobs have been secured or created with the help of almost £10 million of Scottish Government support, it was announced today. Investment projects by GlaxoSmithKline (GSK) Irvine and Prestwick based Aerospace firms Slingsby and Spirit have been awarded £9.8 million in Regional Selective Assistance (RSA) funding, training support and R&D grants, aimed at safeguarding 486 jobs, creating 45 new posts, and delivering a combined £54 million of investment into the Ayrshire economy. First Minister Alex Salmond visited the Ayrshire sites of GSK, Slingsby and Spirit today where he met staff whose futures have been secured with the help of the RSA funding. GSK manufactures pharmaceuticals, Spirit specialises in wing components for aircraft including the Airbus A380, and Slingsby manufactures composite products for aerospace and defence industries. First Minister Alex Salmond said: “The Scottish Government recognises the real challenges that individuals, families and businesses face in the current economic climate, and that is why we are working hard to strengthen the economy and to increase employment opportunities. “We are using every tool at our disposal to stimulate Scotland’s economy, including nearly £10 million in various forms of government support to help secure and create 531 jobs in Ayrshire and to attract £54 million of private investment to the area. “I am delighted that GSK, Slingsby and Spirit have demonstrated their confidence in Scotland’s economy, and the skills and experience of the local workforce, with their plans for significant investment in the Ayrshire area. 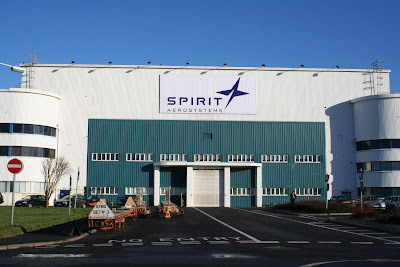 Scott McLarty, operations and HR director for Spirit AeroSystems (Europe) Limited said: “Opening our new R&D facility in Scotland is an important part of ensuring that Spirit maintains and grows its critical role in the design, development and manufacture of aircraft wing structures. GSK Irvine will receive a RSA grant of £4.6 million and £275,000 Training Support that will safeguard 330 jobs and secure £31 million of investment to the site. Slingsby will receive £249,000 in RSA and £348,312 in training assistance which will secure £1,247,000 investment into the site and help to create 28 jobs. Support to Spirirt of £4,300,000 for various projects is aimed at securing total investment of over £21 million into the site and will help to safeguard 156 jobs and create 17 jobs, as well as keeping the company at the cutting edge of technology. In the last quarter (July to September), RSA funding offers have been accepted by 32 businesses, linked with overall planned capital expenditure of more than £70 million and the planned creation and safeguarding almost 2,500 jobs across Scotland. There are currently 606 Ayrshire business stories permanently archived on this site. To locate those of most interest to you, please use the site search facility in the top left hand corner of this page. Type your search term in the white box, then click “SEARCH BLOG”.